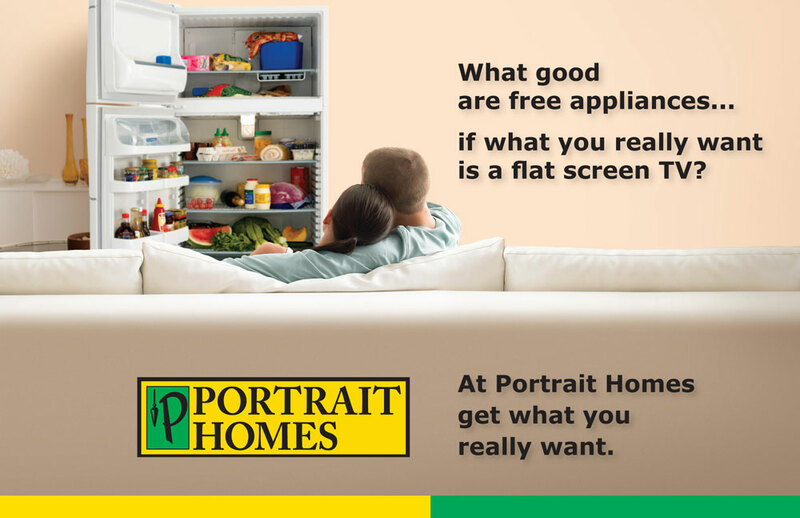 We thought this was a good promotion from Portrait Homes: instead of the home builder determining the upgrade option, have the home buyer pick the upgrade they really want. So to depict what could go wrong with a promotion when you don't get to pick your own upgrade, we showed what happens when the builder picks it, and it's not what you wanted. This was a series that showed a few scenarios with silly variations (a women who really wanted a whirlpool, and is seen in the kitchen sink overflowing with bubbles) on how you'd have to make due with upgrades that don't match your preferences. We feel this shows the type of work that, as a Columbus Ohio website design and Columbus marketing firm, we can bring to the table for your company to shows that you're a unique home builder in your market.